Here's yet another worship resource my field ed supervisor gave me. ReConnecting Worship was written by Rob Weber with Stacy Hood. In the foreword, Leonard Sweet writes, "In this wonderful book by Rob Weber and Stacy Hood, there is a keen sense that 'tradition' does not mean going backward, but not wanting to go forward without all the riches and resources available. They understand the difference between innovation that has been merely tinctured by tradition and innovation that has arisen from and been anointed in the tradition. Relevancy has too often equated with 'recency.'" 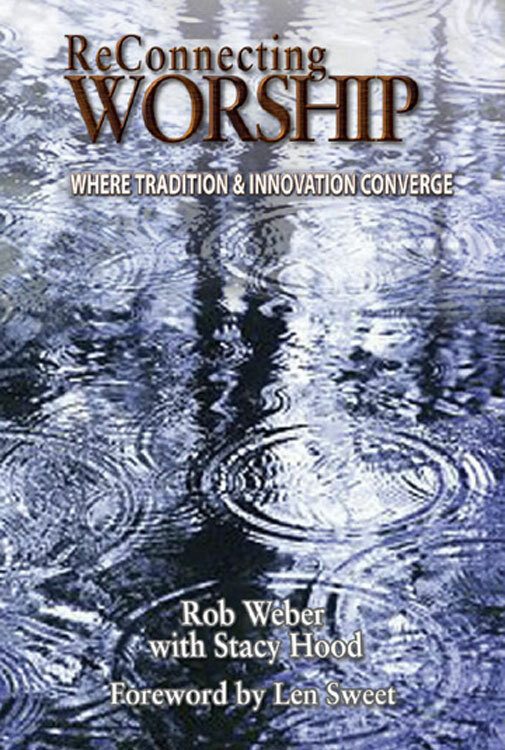 This book is a guide to different styles of worship, what to expect in terms of reactions to change, and it comes as part of a kit that includes video of teaching and storytelling as well as resources for music ministry. The main part of the book begins with a prayer to guide the process of thinking about and developing worship, and its format is that of a week-by-week guide to integrating the readings into the life of the church. Weber and Hood frequently return to the model of asking questions, especially "why" questions, and allowing space for worship to answer those. One image I particularly liked was that of a Jewish Passover Seder. The tradition is that the youngest person present asks a series of questions--"Why do we eat bitter herbs? "; "Why do we use the cup? "; and so on--and answers are given that hep to instruct the children and remind the adults of the rich symbolism inherent to the meal. I once attended a Seder with my family at the home of the Rabbi of Temple Israel, the conservative Jewish temple in Charlotte, NC. What I learned from that experience is that Seders are not only educational but also lots of fun--the table was littered with plastic bugs that we all held when reading about the plague of locusts (Exodus 10:1-20), and we got to throw kosher marshmallows at each other to enact the plague of hail (Exodus 9:13-24). I like this model of combining question, answer and play as one that can be applied to worship. Competing to see who could peg the rabbi's yarmulke with a marshmallows might have been a bit irreverent, but it was a creative way of engaging people of all ages (and in this case, of different creeds!) in the Biblical narrative. The materials were new, the stories old. That's what worship should have the freedom to do and to be. "Our diverse individual expressions of worship vary in size and shape. 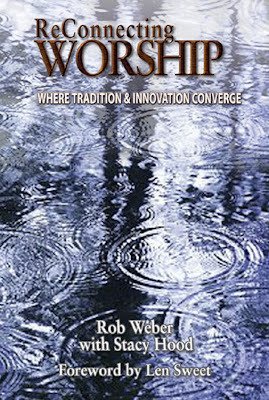 Like distinct raindrops, all of our worship finds its source and goal in the deep pool of God's presence and activity." "Deep listening mitigates conflict, but more importantly it is evidence of the humility that God anticipates in worship." "The words traditional and contemporary are used as if we share a definition in common. The truth is that these terms have become heavily value-laden and are always used from a particular interpretation to preserve one meaning or another." "As the church seeks to discern how best to shape itself in the emerging century, the question is not helpfully presented as a choice between traditional and contemporary forms of expression. It is much more mature to describe a choice between a dynamic and productive use of tension or a destructive reaction to that same tension. The solution to this difficult struggle is not found in any one particular form but in a recovery of the original identity of the church as the people of God." "Worshiping is like checking a compass to keep us oriented toward God and God's purposes for our lives. Navigators do not check a compass because it is entertaining, or because it is a really attractive compass, or because 'it is the same kind of compass my great-great-grandfather had,' or because 'that's the way we've always done it.' Navigators check the compass to orient themselves toward their intended destination. All worship should find its origin in this purpose." "[Kierkegaard] said that the audience for worship is not the congregation but God. [...] Participants are shaped, formed, and built up through worship, but those benefits are byproducts of an authentic worship of God."